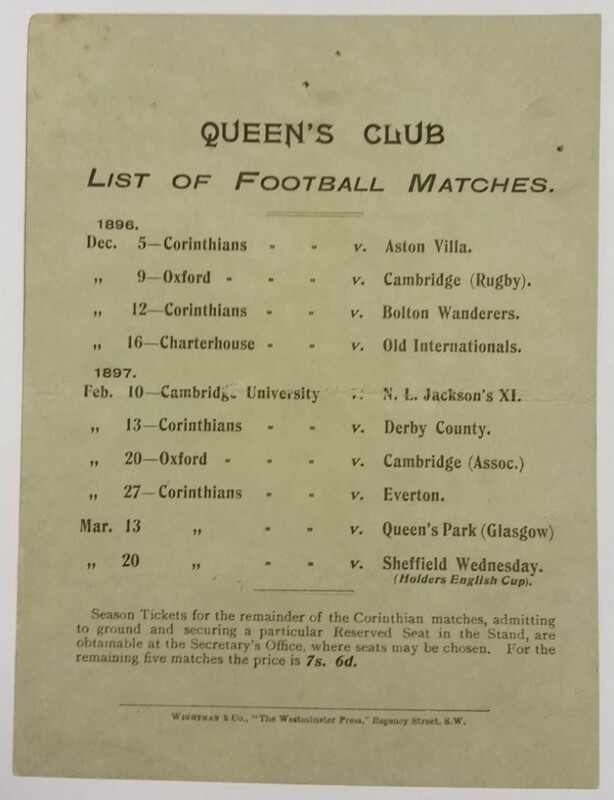 This mid 1890s match card is in fantastic condition given it’s age. 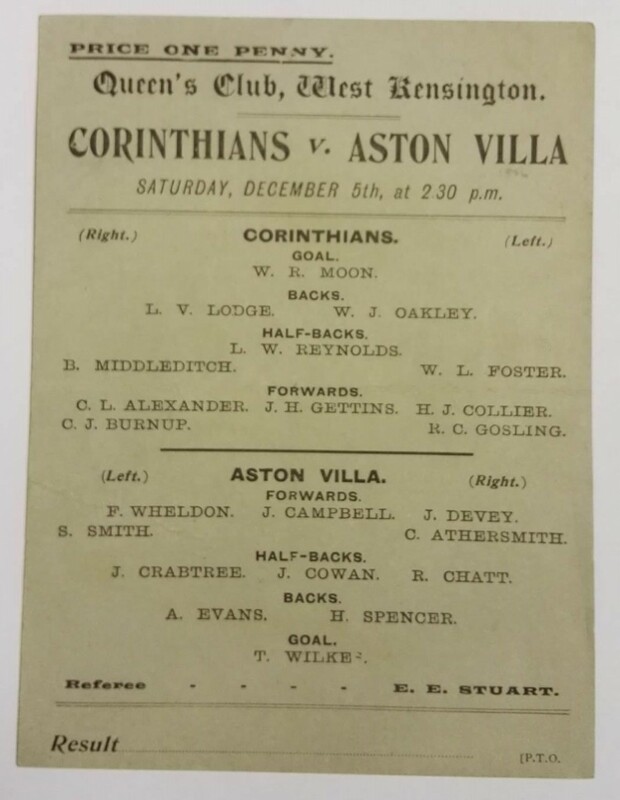 Corinthians played Aston Villa in a friendly at Queen’s Club in West Kensington, although we were unable to find any record of the result – so if you have information we’d love to hear from you! Queen’s Club is now known for the private tennis club.